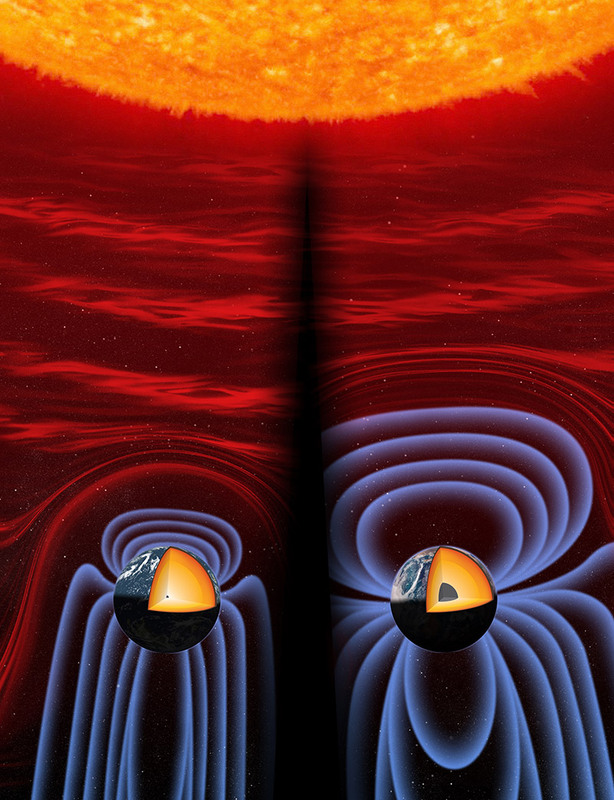 Researchers have long recognized that Earth’s core plays a vital role in generating the magnetic shield that protects our planet from harmful solar wind—streams of radiation from the Sun—and makes Earth habitable. They differ, however, on estimates of when the inner core actually formed. Now, research from the University of Rochester indicates that Earth’s inner core is younger than scientists previously thought, offering new insight into the history of Earth’s magnetic shielding and planetary habitability.